An owner's manual comes with a car and provides a basic info on car features and maintenance. A service or repair manual provides a detailed technical information and repair instructions for mechanics and do-it-yourselfers. Scroll down for service manual links. Many car manufacturers post owner's manuals online, so you can download it in a pdf format to your phone and find what you need quick. First, download the manual. In your phone tap the search icon and enter the keyword. For example, search for "jumper" or "cables" to find the info about jump-starting a car, or look for "warning lights" to see descriptions of various dash lights. 1. How to boost (jump-start) the car if the battery is dead (see the screenshot). 2. What do the warning lights mean on the dash. 3. How to secure a child seat as well as the information about proper use of safety features. 4. How to use safety features, like Lane Departure Warning, Blind Spot Monitor, etc. 5. How to change wipers or bulbs. 6. How to reset Maintenance Reminder. 7. Maintenance schedule. Some manufacturers publish the maintenance schedule in a separate brochure or post online. 8. How to check the engine oil, top up windshield washer fluid. 10. Specifications: the amount and type of engine oil your car takes, transmission fluid type, etc. If you need a factory service manual with repair instructions, we posted several links below, scroll down to the bottom of the page. My Acura Register to download an owner's manual. Chrysler - Mopar Owner's manuals for Chrysler vehicles: Chrysler, Dodge, Fiat, Jeep Ram. Ford Owner Home Owner's manuals, warranty guides, scheduled maintenance. General Motors Owner Information Scroll down for owner's manuals for Chevrolet, GMC, Pontiac, Saturn, Buick, Cadillac, Hummer and Oldsmobile. 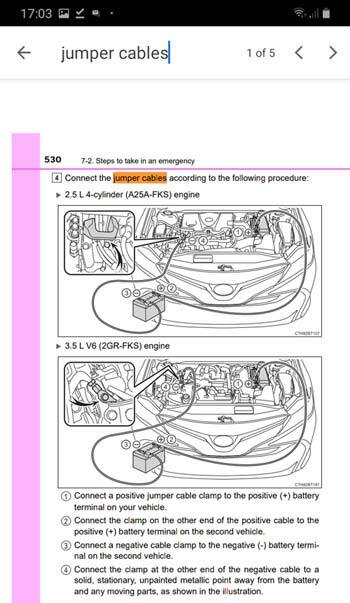 Honda Owners Manuals, Bluetooth pairing, video guides, retrieve radio code, check for recalls. Hyundai Resources Manuals & Warranties Resources. Mazda USA Owners Manuals and other resources. Nissan Owners - Manuals and Guides Nissan vehicle manuals and guides. Subaru of America Vehicle resources. Toyota Owners (Toyota USA) Owner's Manuals as well as Warranty and Maintenance Guides. Note: these sites offer the manuals for the vehicles sold in North America. For other markets, check your local manufacturer's website, as the same car models vary in details in different markets. Most of the car manufacturers offer a paid subscription-based access to their service manuals. Many offer a 1- or 3-day access for a small fee ($20-$75). Honda Independent Repair Website - available subscription terms: 1 day, 30 days, 365 days. HelmInc.com Ford, Honda / Acura Service manuals online, CD/DVD service manuals for many brands. Mitchell1DIY Paid online access. TSBs and DIY service manuals.